The best way to truly experience King's-Edgehill School is by visiting the campus and allowing a student to include your child in his or her day while you speak with our Admissions Team. Contact us to plan your visit here. Our Prep Hockey Program provides abundant opportunities to exercise, cooperate, practice, compete, travel, lead, achieve, and grow. 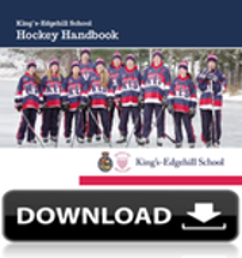 Download the Hockey Handbook to learn more.